I've never seen that BTS pic before, that's brilliant! i thought it was pretty cool. the other pics are from ANH i believe. "This will be a thread long remembered!" If the cloak pieces are over the shoulder armor, it's ANH for sure. My very favorite Darth Vader moment. oh how i loved Vader as a kid. and still do. The opening shot of him from ANH really stands out for me what an entrance. That scene is so amazing. You can see the sorrow and the pain in his eyes even though he is wearing a mask. Like when he launches himself at Ryloth rebels' ship like a misile in "Lords of the Sith". Dude. Yes. That was a well done shot. In fact, that would be a fantastic avatar. I may go to the dark side again. 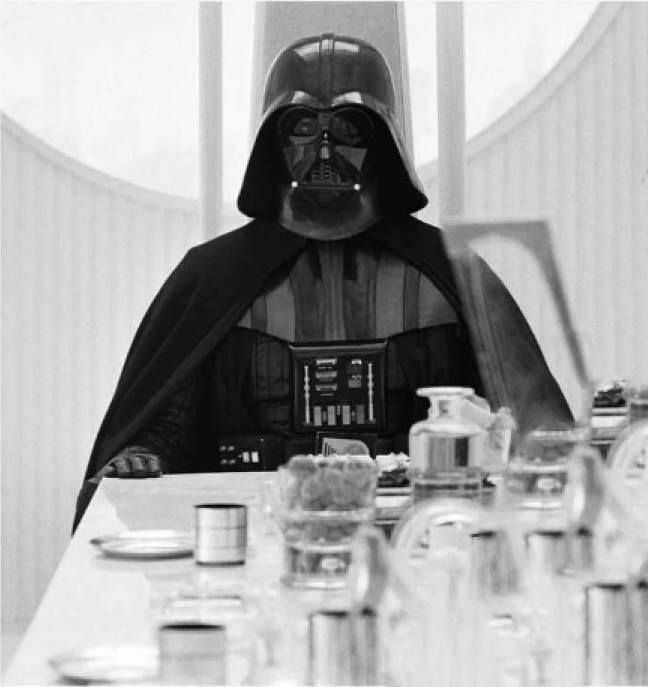 ]On a philosophical level, this may be my favorite Darth Vader scene. Fun fact: the back of Vader's head in ESB is the one time David Prowse was unmasked as Vader. @LadyMusashi, your post actually brings to mind something I've been wondering a while. I'm not very familiar with the old EU, so.... in the new canon (Lords of the Sith and the Vader comics being prime examples), we've really been seeing the outbreak of "god Vader," who can decimate armies and fleets on his own and pull off other awe-inspiring feats. Well, this makes sense, considering who he is, but here's the question: did the EU always treat Vader like that, or is this a style that post-Disney Lucasfilm has taken and ran with?